Three cheers and a round of applause for the drivers, flaggers, and workers who made our third annual Get Loud! 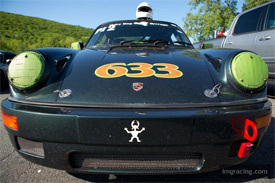 at Lime Rock event a scintillating success. Don't forget - Early Registration for Round Two at Lime Rock Park is open on Motorsportreg.com. We have a late-breaking schedule change for the May 26th Get Loud! at Lime Rock event. Big Bore and Small Bore are now combined into one Race group, and all of the DE / TT groups will receive extra time. There are still a few open spots in the Intermediate and Race groups. At-track registration will be open on Sunday night and Monday morning. Even though Memorial Day is still a month away, run groups for this year's May 26th Get Loud! at Lime Rock event are already filling up. Advanced DE/TT and Upper Intermediate DE/TT are already 2/3 full and will probably be the first to sell out. Small Bore Sprint Race is getting there as well, with a good field of sedans and sports racers building across PI-4, PI-5, and PI-6. The Big Bore race field is starting to come together, and always puts on a good show. Don't miss out on the party. Register today and save your spot on the grid for Memorial Day. Thanks to Shaffin at the Wake Robin Inn, the $30 discount for IMG members has been extended. The deal is still $30 off at any room at the luxurious Wake Robin Inn for Sunday May 25th, the night before our Memorial Day Lime Rock event. Don't wait too long though - the Summer inn is already sold out, and rooms are quickly booking up. 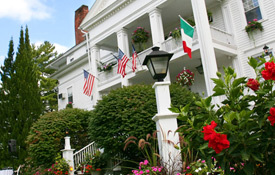 To reserve your room, call 860-435-2000 or email info@wakerobininn.com.